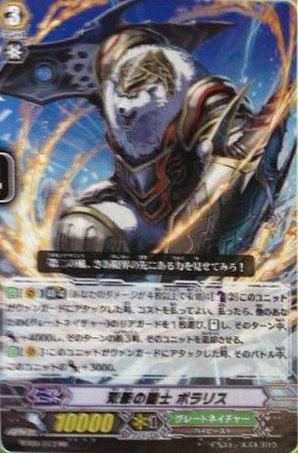 [ACT](VC) Limit Break 4 (This ability is active when you have four or more damage): [Counter Blast (2) & Choose two of your «Gold Paladin» rear-guards, and retire them] This unit gets [Power]+10000 and [Critical]+1 until end of turn. 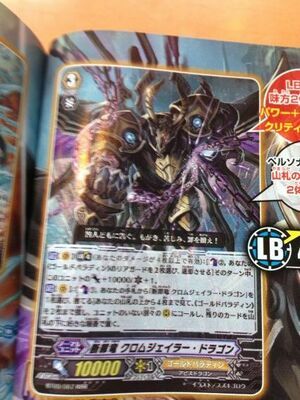 [ACT](VC):[Counter Blast (1) & Choose a card named "Convicting Dragon, Chrome Jailer Dragon" from your hand, and discard it] Look at up to four cards from the top of your deck, search for up to two «Gold Paladin» from among them, call them to separate open (RC), and put the rest on the bottom of your deck in any order. WHY YU NO GIVE CROSSRIDE FOR SDD? Anyways here are more good news for the murakumo players. Here are the draw triggers that we all are waiting for.Mandala just got stronger. 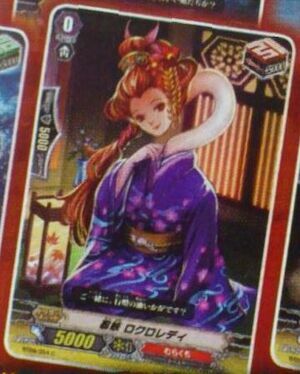 Will bushiroad make a cross ride for mandala in Extra Booster? Here is another boss card for great nature. [AUTO](VC): Limit Break 4 (This ability is active when you have 4 or more damage):[Counter Blast(2)] When this unit attacks a vanguard, you may pay the cost. If you do, choose one of your other «Great Nature» rear-guards, stand it, and it gets [Power]+4000 until end of turn. At the end of the turn, retire that unit. 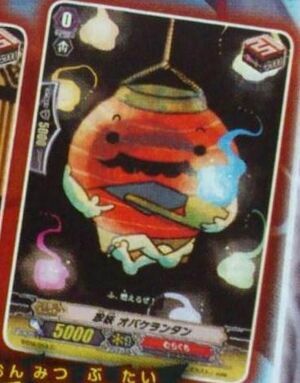 [AUTO](VC): When this unit attacks a vanguard, this unit gets [Power]+3000 until end of battle. Now wait.... Doesn't this guy looks too familiar. For the League of Legends player. Bushiroad decide to import volibear and make him into a card.